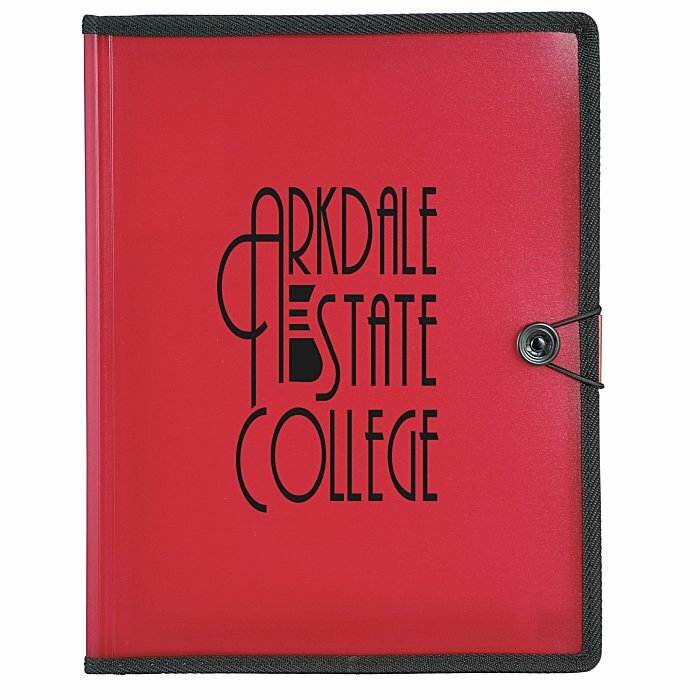 Make your message more memorable on this logo'd document holder. Large frosted polypropylene pad holder features plenty of storage for their business essentials. The accordion-style file offers five sections for document storage, two business card holders, two pockets and a pen loop. Woven binding and bungee-closure provide extra durability. Includes an 8-1/2" x 11" paper writing pad. 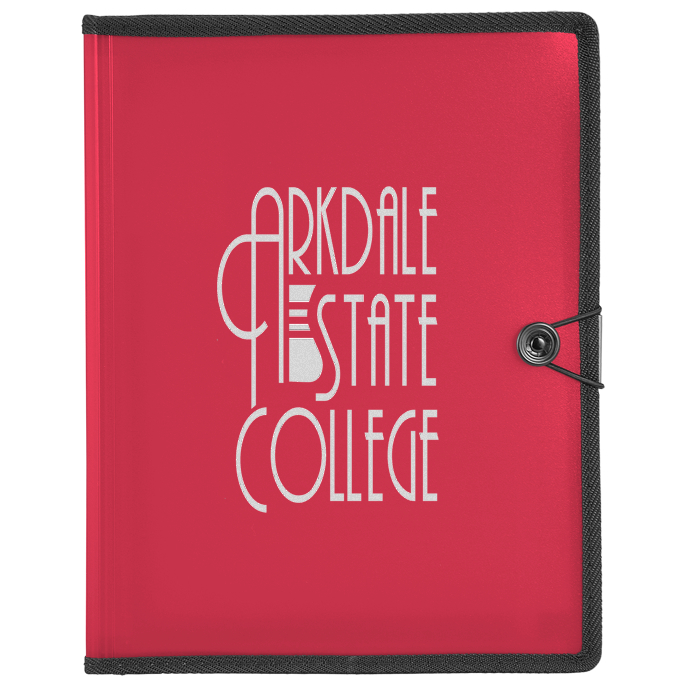 Use as a personal business accessory, or package print promotions and presentations with your logo! Your price includes a one-color imprint on the front of the pad holder, centered. Additional imprint colors available for an extra charge. * Excludes art preparation time, applies only to orders of 324 items or fewer.